This elegantly-furnished holiday home in the hills of Mougins is just 9 km from the world famous Cannes. It has a private pool, barbecue and a terrace that opens onto the tree-lined garden. This cosy two bedroom holiday home has been thoughtfully furnished and boasts a terrace, which overlooks the garden and the private swimming pool. 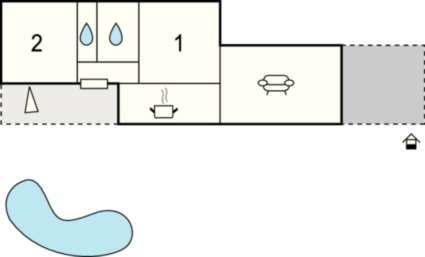 The décor is simple and homely and the villa includes two bedrooms, a bathroom, a kitchen and living area. 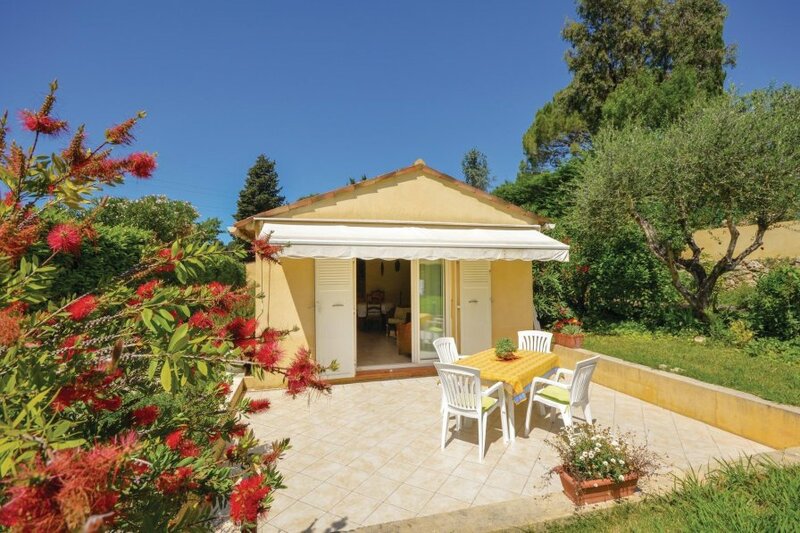 The property is situated in the hills of Mougins, just 9km from the iconic town of Cannes. The holiday home is an ideal base from which to explore the stunning Côte d'Azur. The old village of Mougins, with its narrow streets and fountains is very charming, whilst the glitz and glam of Cannes offers a bustling atmosphere. You may also wish to visit some of the region's most iconic towns and cities such as Antibes, Nice and Monaco.Please note, arrivals are only possible until 6pm. This solidly constructed modern villa was recently built in 2004. The agent has rated it as a four star property so it is a well-equipped villa with above average furnishings. It is also great value for money. This villa has a swimming pool and view over the landscape; it is also located in Village-Le Val-Cabrieres, only 4km from Cannes. It is set in a good location, 5.5km away from a sandy beach. There's also a restaurant 4km away.